So, you’re thinking of going on a holiday, long or short, and you really want to make the most of your time. When you’re travelling by yourself this is even more important. You don’t want to let yourself sit in your hotel the whole time. The best way to ensure you have an amazing holiday that you’ll remember forever is to be open to anything. Here are some tips on enjoying a solo holiday like a pro. Especially if you’re arriving at night, book your accommodations and transport in advance. If your hotel or other accommodations offer a shuttle or transport, that’s even better. On top of that, make sure you get a good deal on flights. You’ll want the money you saved to go toward experiences, not travel costs. 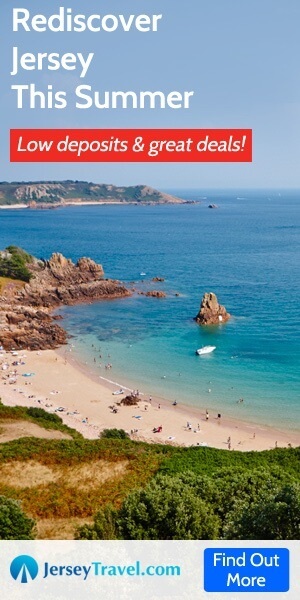 Check out https://www.groupon.co.uk/discount-codes/shops/flybe.com for some great deals. You’re there to explore, so do it. Don’t spend your time in your hotel, hostel, or guest house. You’re travelling solo, you can go wherever your heart desires. Walk around the town or square, go hiking, wander aimlessly, or get on a train and visit a nearby getaway. You can even let yourself get lost. Just enjoy every moment and take nothing for granted. To everything that seems doable, and isn’t illegal, say yes. Try new things, let yourself be a bit scared or nervous, but don’t let anything hold you back. Whether it’s facing your fear of heights, joining someone for lunch, going to a local event, checking out a party with people you don’t even know, tasting strange local food, or visiting an attraction you’ve never heard of, say yes. The memories will be worth it. Don’t be self-conscious, especially when you’re having fun. The cliché saying “a smile is understood in every language” is true. Smiles break the ice, and help you relax and open up. A smile can also help you feel comfortable when meeting new people or talking to locals. People like seeing your smile. They can see more of your warm personality and confidence when you are grinning it up. Smile at hosts, fellow travellers, hotel staff, waiters, bartenders, clerks, and friendly villagers you meet as you explore. A smile will open doors and take you to amazing places. Be comfortable with your own company, like yourself, and accept yourself. Many people struggle with this throughout their lives, but a solo trip is a great opportunity for you to simply enjoy yourself and the person you are. Don’t worry about fitting into certain labels such as employee, parent, spouse, or single. You’re on this holiday with yourself, so you don’t have to follow a label’s rules of behaviour. Give others a chance to know you just as you are. Often, you’ll find the experience so freeing that you’ll want to take a little of your holiday attitude back with you. Whether you’re travelling near or far, let the experience be one you’ll never forget. Enjoy every little moment and soak up the sights, sounds, and feelings.